This is a bibliography of the Journal of Parallel and Distributed Computing (ISSN 0743-7315, CODEN JPDCER), published by Academic Press. Publication began with volume 1 in August 1984. 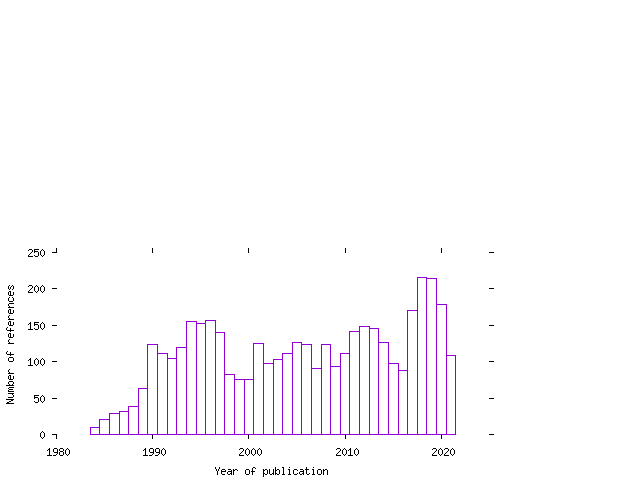 Data for the bibliography has been collected from the OCLC Contents1st database, from the Compendex database (1990–1996), from the bibliographies in the TeX User Group collection, from bibliographies in the author's personal files, from the IEEE INSPEC databases (1985–1997), and from the computer science bibliography collection on ftp.ira.uka.de in /pub/bibliography to which many people of have contributed. The snapshot of this collection was taken on 5-May-1994, and it consists of 441 BibTeX files, 2,672,675 lines, 205,289 entries, and 6,375 <at>String abbreviations, occupying 94.8MB of disk space.